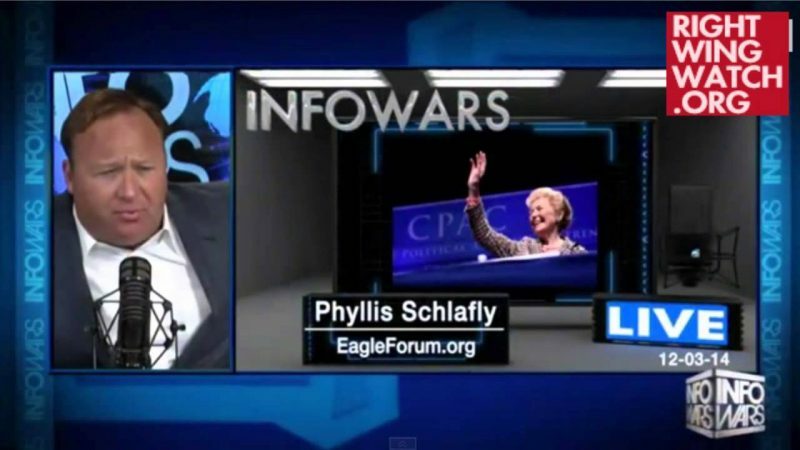 Eagle Forum founder Phyllis Schlafly has been busy peddling her new anti-immigration report to conservative media, and yesterday took her case to Infowars, where she chatted about immigration with conspiracy theorist Alex Jones. 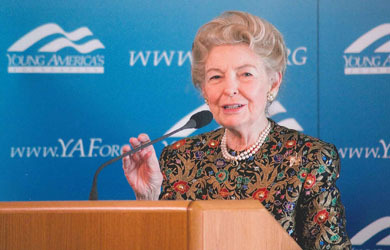 Schlafly repeated her frequent claim that most of “the Hispanics coming in” don’t “even understand or want a smaller government” and therefore will ultimately end “freedom and prosperity” in America. 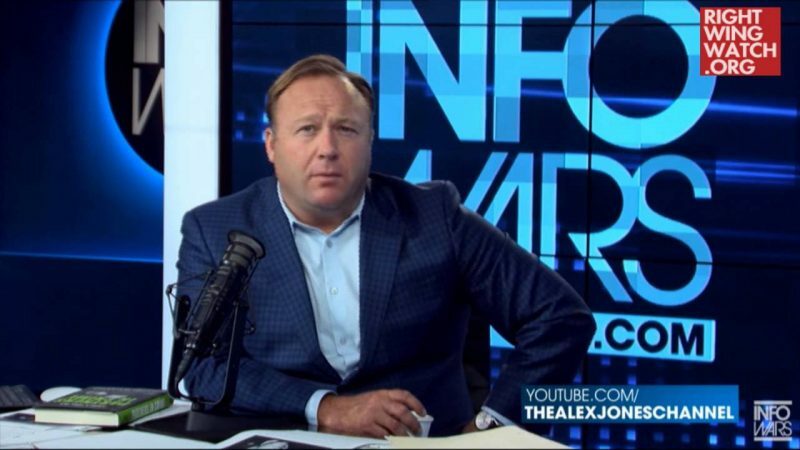 “They’re not voting for amnesty, they’re voting for handouts by the government and they get that by going Democratic,” she said. “It would be a joke if it weren’t so really tragic,” Schlafly concurred.